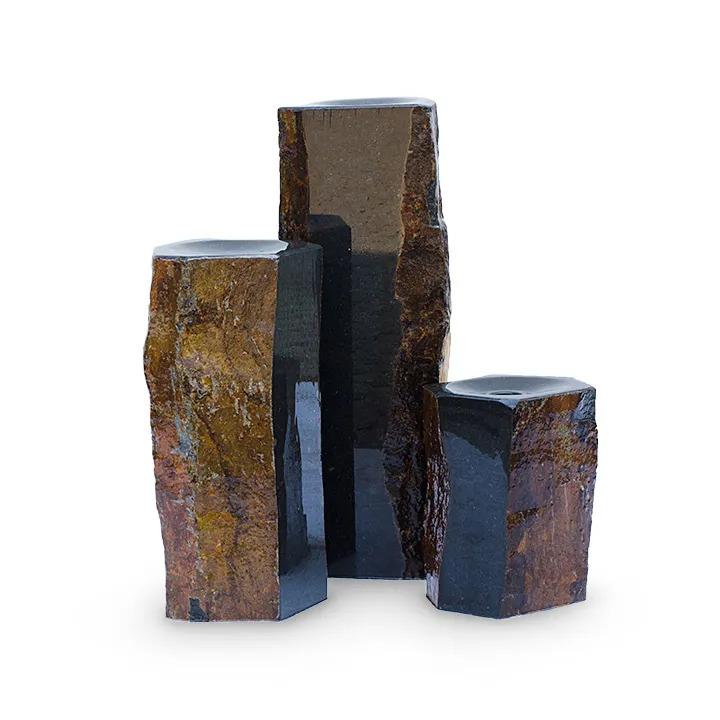 Semi-Polished Stone Basalt Columns Set of 3 - Aquascape, Inc.
Aquascape Semi-Polished Stone Mongolian Basalt Columns incorporate the sights and sounds of water into any environment, providing a stunning, three piece, natural stone water feature. 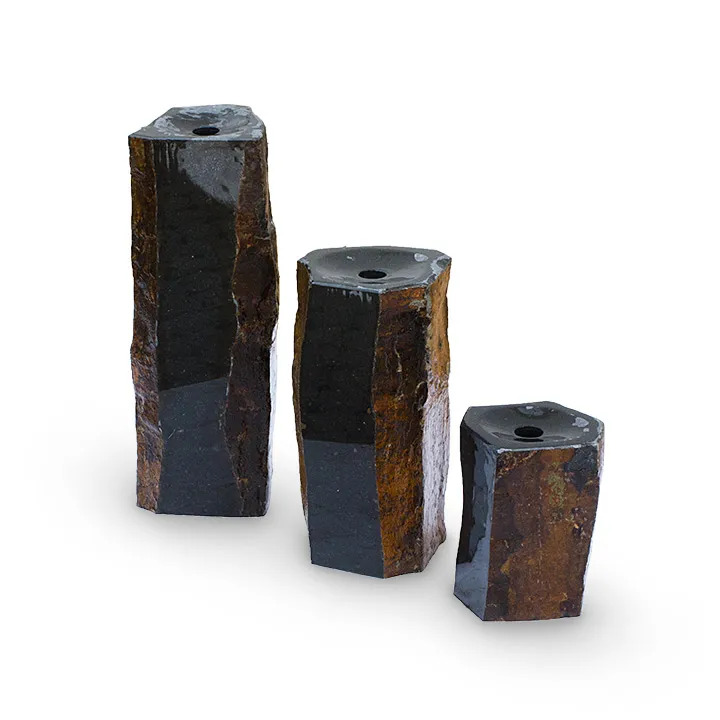 The set includes stones of three varying heights at 12, 20, and 27 inches high. The two smaller columns are roughly 7.5 inches in diameter and the largest column measures 10 inches in diameter. Aquascape Semi-Polished Basalt Columns are handcrafted and uniquely polished from natural stone. No two columns are the same, providing each stone with unique qualities. The columns can be paired with the Aquascape® AquaBasin® 45, Ultra 2000 Water Pump, and pipe for a complete setup. Aquascape is passionate about the products we produce, providing unique products, designs, and features that stand above the competition.